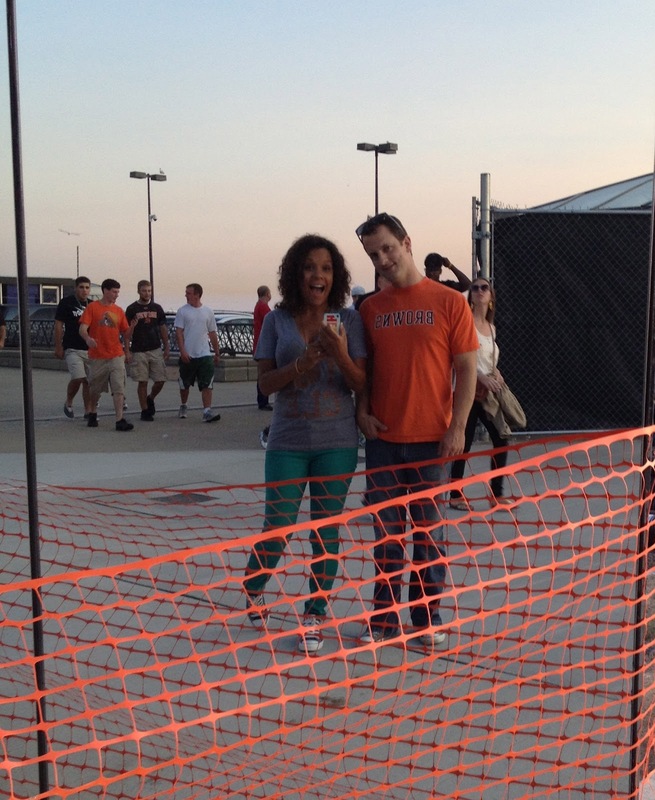 Last week we were lucky enough to be given some pretty sweet seats at the last Browns preseason game. While the game was a little unexciting....we had fun and made the best of it! It was so nice to have a little time out on our own without our little man. I embarrassed my dear husband by running around like fool taking photos of everything as if I'd never been downtown before. I thoroughly enjoyed it! 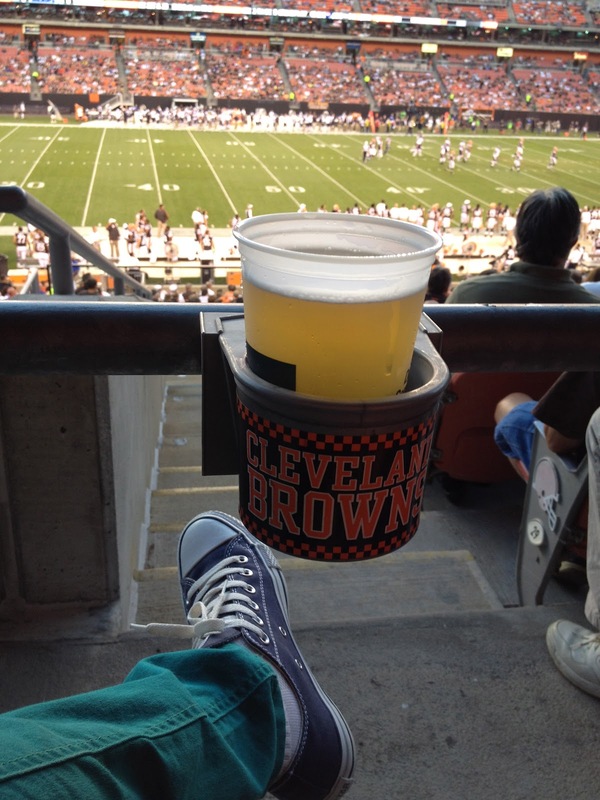 Just a few rows back from the field, cold beer and the most uncomfortable shoes that I own. Here's to a winning season Cleveland Brownies! !